Rosey Posy Belt https://www.review-australia.com/au/rosey-posy-belt/RE19ACC013.REPNK098.OneSize.html The Rosey Posey Belt is perfect for adding a soft touch of femininity to any look. Dainty 3D flowers decorate this fabric belt, offering a layer of interest to any look. Wear high on the waist for a flattering silhouette. This belt ties around the waist, there is no clasp. 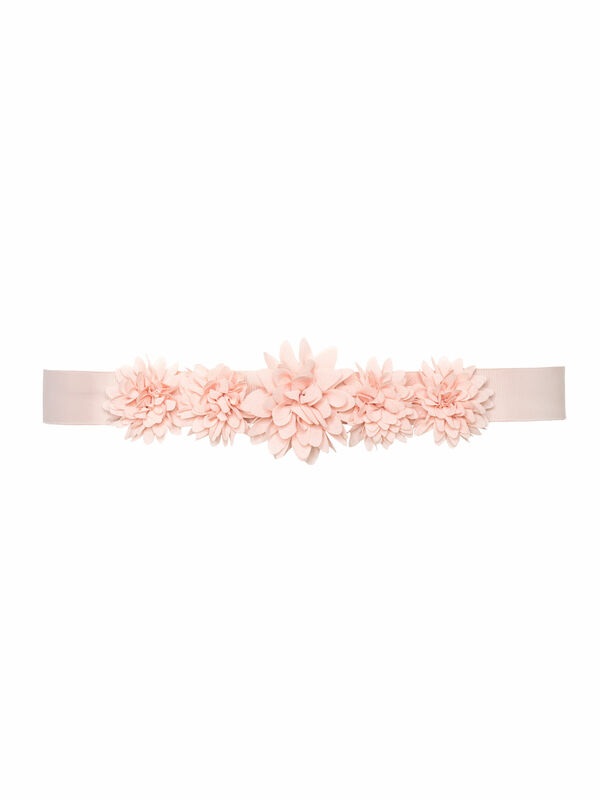 The Rosey Posey Belt is perfect for adding a soft touch of femininity to any look. Dainty 3D flowers decorate this fabric belt, offering a layer of interest to any look. Wear high on the waist for a flattering silhouette. This belt ties around the waist, there is no clasp.